France has a significantly low-carbon electricity mix, owing to the key role of nuclear energy. However, much of France’s nuclear fleet is reaching the end of its lifetime. Against this background, France has started an ambitious energy transition: it is a world leader in designing a governance framework with a national low-carbon strategy, carbon budgets, a carbon price trajectory and plans for energy investment.France plans to reduce the share of nuclear to 50% in the electricity mix by 2025. While some nuclear reactors may continue long-term operation under safe conditions, maintaining security of supply and a low-carbon footprint while reducing nuclear energy will require investments in renewable energy and efficiency. 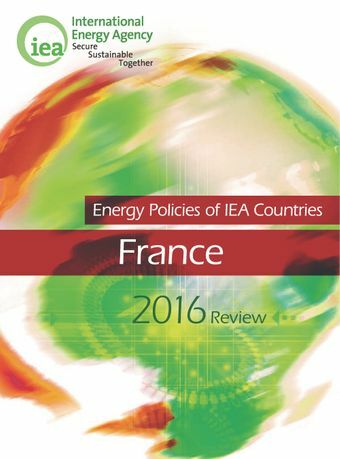 The 2016 IEA review of France’s energy policies highlights these and several other areas that are critical to the success of the energy transition. For example, planned growth of the share of electric vehicles and variable renewable electricity will require enhanced power system operation and flexibility, including demand-side response, smart grids and metering, and more interconnections.The financing of this transition depends upon continued carbon price signals, increasingly open markets, competition, and consumer empowerment in gas and electricity retail markets.This review analyses the energy policy challenges facing France and provides recommendations for further policy improvements. It is intended to help guide the country towards a more secure, sustainable and affordable energy future.